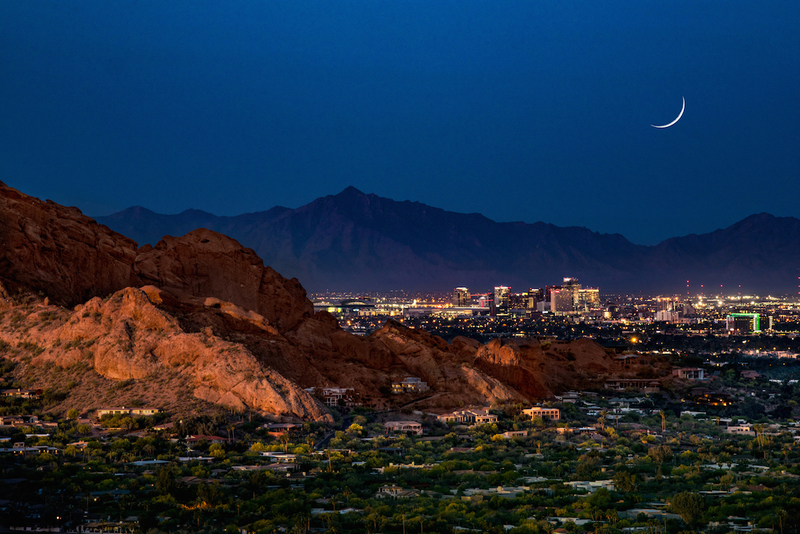 Phoenix, Arizona, is one of the largest cities in the country. It is also of the hottest. The Valley of the Sun ensures hot days year round, with cooler nighttime temperatures in the winter. 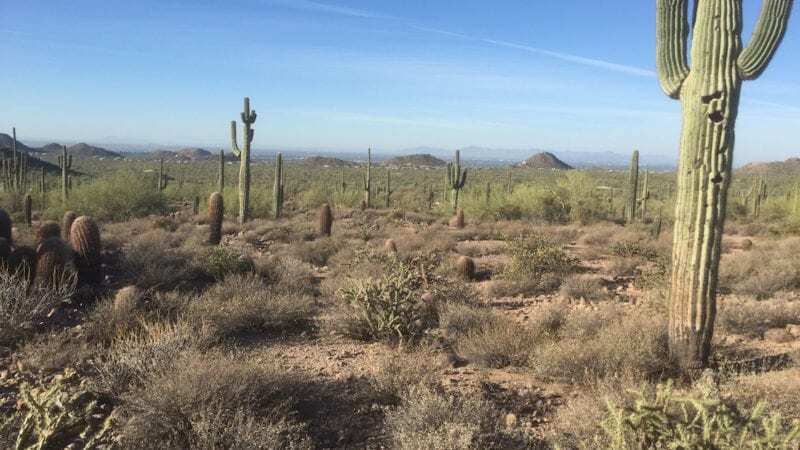 Whether you are looking for outdoor adventure or cultural attractions, you can find a free activity in Phoenix. TravelingMom with Pets Judy Antell says it is so hot in summer that outdoor activities are limited to early morning and evening. Don’t forget to bring extra water for your dog if you bring her along. Phoenix is huge, so it makes sense that there are a lot of free things to do in the city. The Greater Phoenix sprawls over 2,000 square miles. It includes 20 incorporated cities: Glendale, Scottsdale, Tempe and Mesa are part of great Phoenix. TravelingMom pro tip: Be sure to explore Scottsdale, which also has many free things to do. Phoenix, Arizona abuts the Sonoran Desert. This gives the city the hottest, driest climate in the country. Temperatures of 120 degrees are not uncommon. You will find yourself reaching for lip balm to combat dry lips. But you won’t have to reach for your wallet when you explore what is free in Phoenix. Always have a water bottle, sunscreen and hat or visor nearby. And a camera to take photos of the dramatic scenery. Phoenix is also known for its political culture. Both Sandra Day O’Connor and the late John McCain called it home for awhile. Phoenix shares a love of the arts with neighboring Scottsdale. 1. Phoenix Art Museum – This museum offers 203,000 square feet of visual arts exhibits, featuring artists such as Rembrandt, Norman Rockwell, and Monet. It is free on Wednesday evenings, from 3 – 9 p.m. It is also free on First Fridays, from 6 – 10 p.m. and second Sundays, from noon to 5 p.m. The Sunday free days are particularly family friendly, featuring art-making activities with local artists, scavenger hunts, live performances, story time and free tours. 2. First Friday Art Walk – On the first Friday of every month from 6-10 p.m. take a self-guided art walk. You can also ride the free trolley, great for kids. 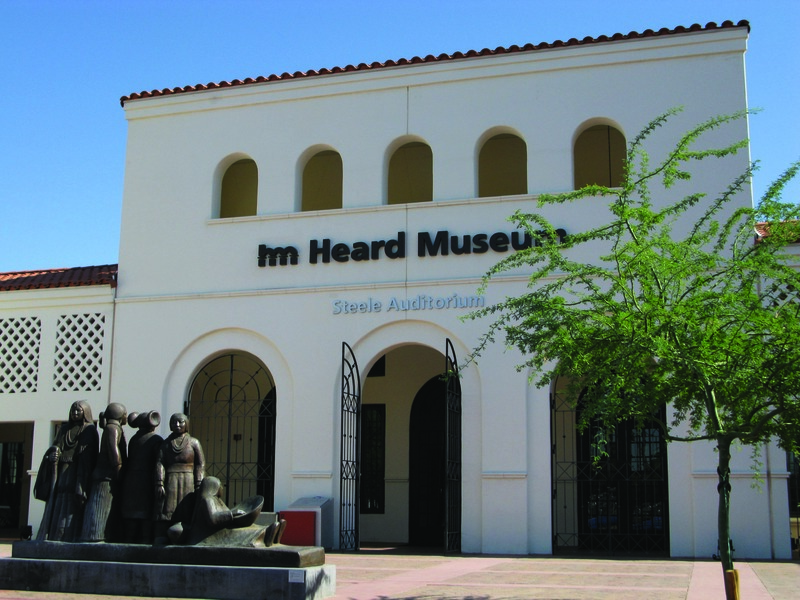 On First Fridays, the Heard Museum of Native Cultures and Art is also open free. Explore paintings, drawings, and sculptures by Native American artists. Kids usually like the textiles, dolls, and jewelry exhibits. 3. Second Friday Night Out – Missed first Friday? Head to nearby Mesa, where the art walk includes entertainment and activities. The Second Friday Night Out is free and includes live music and food trucks. It also runs from 6-10 p.m.
4. 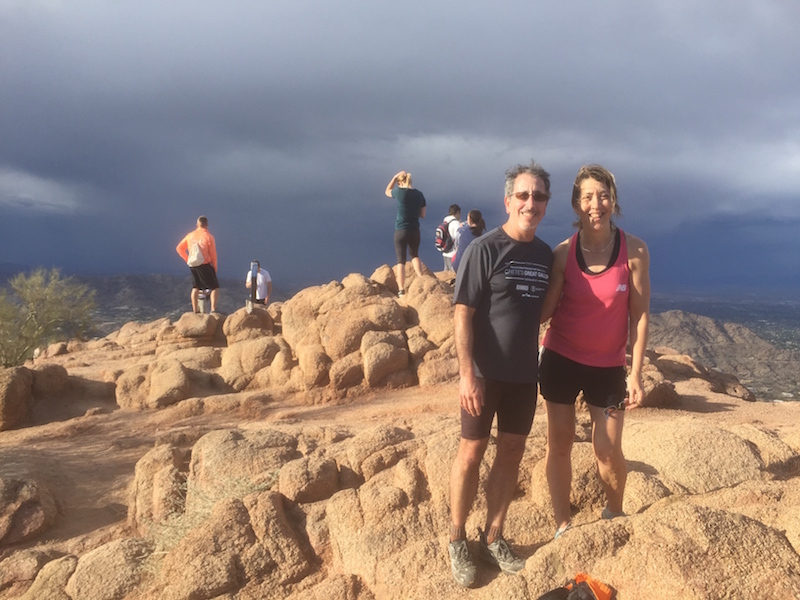 Hike Camelback – Camelback Mountain, with an elevation of 2,704 feet, is a rigorous, but short hike. And it is easy to access. The two trails, Echo Canyon and Cholla, each have a free parking area. You can also take a free trolley ride to either trailhead. Be sure to bring plenty of water, sunscreen and a hat. And if you bring a dog on the hike, bring even more water. 5. Arizona Capitol Museum – Always free, the Arizona Capitol Museum has artifacts from the USS Arizona, sunk during the invasion of Pearl Harbor. There are also interactive exhibits about voting and Arizona’s role in WW II. Take a free guided tour, offered daily. 6. Desert Botanical Garden – The spectacular Desert Botanical Garden usually costs a budget-busting $24.95 per adult. However, on the second Tuesday of every month, admission is free. Active military personnel and children under 3 are free every day. Hike the trails and explore the native plants and wildflowers. 7. 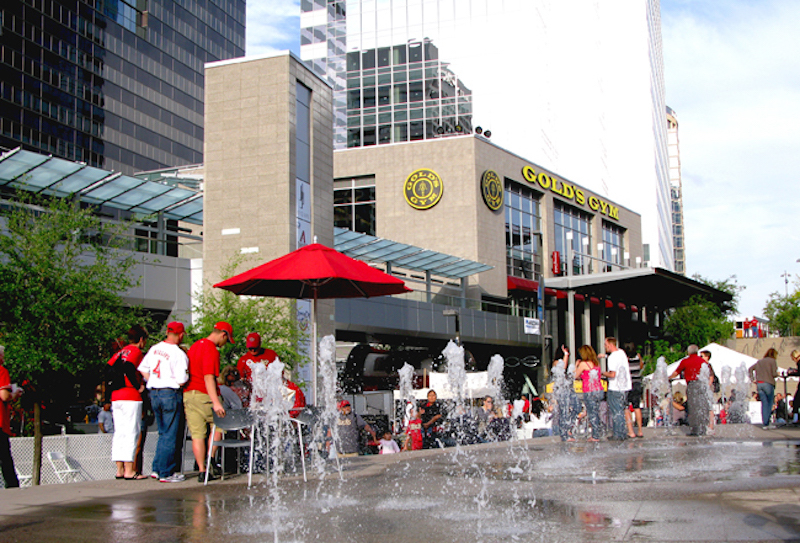 CityScape – Downtown Phoenix has CityScape, a mixed use entertainment, restaurant and retail center. There are free movie nights and community events. This is place to go see holiday decorations in Phoenix. An ice skating rink, hotel and residential apartments complete the development. 8. Meet Me Downtown Phoenix – Sweat with (new) friends at this early evening free community walk / run in Downtown Phoenix. Run or walk 3 – 5 miles every Monday, 5:15 – 6:30 p.m. You can even score discounts on local restaurants and enter to win prizes. 9. Historic Orpheum Theatre Tours – Every other Tuesday, take a free one hour tour of the theater. The landmark buildings dates from 1929. It was renovated and restored for $14 million. Tours are at noon and 1 p.m. The theater hosts traveling Broadway shows and local productions. 10. Free swing dance lessons – The Duce, a warehouse turned bar, offers free swing lessons every Tuesday, 7 – 8 p.m. If you can swing it, for $8, you can show off your newly acquired skills till 11 p.m. There is a DJ and drink specials. 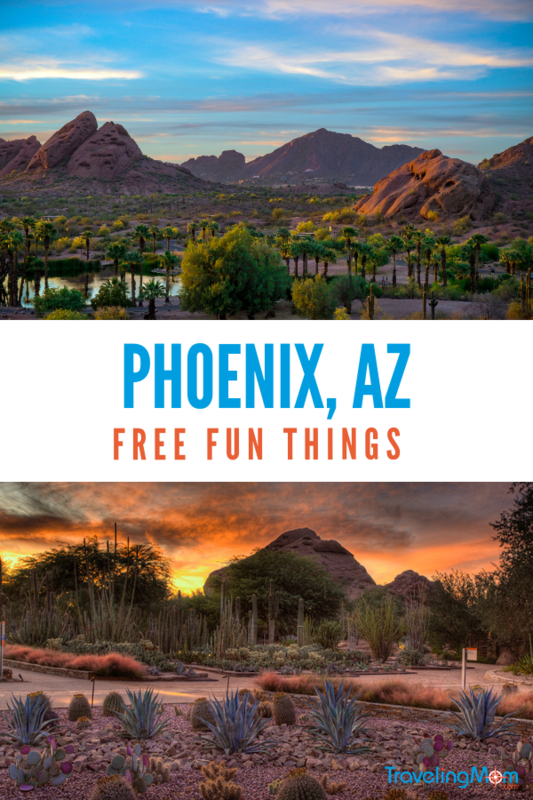 Can you add to this list of what is free in Phoenix? Let us know in the comments below. Previous Post: « Say Cheese: Where Are the Cameras on WDW PhotoPass Attractions? This is great! Thank you! Just in Arizona now and looking for some free fun things to do !